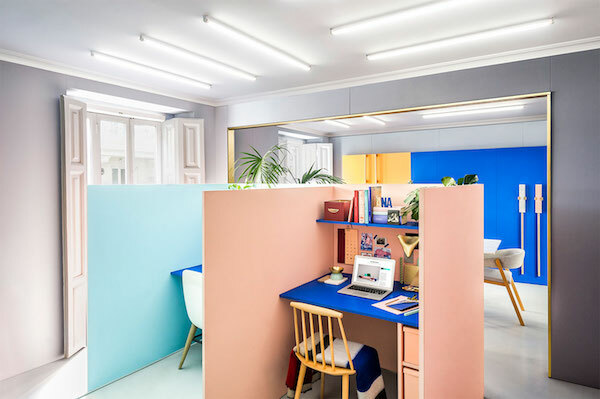 Today we are excited to show you the colorful workspace of Masquespacio, an award-winning design agency that is based in Valencia, Spain and was founded by Ana Milena Hernández Palacios and Christophe Penasse in 2010. 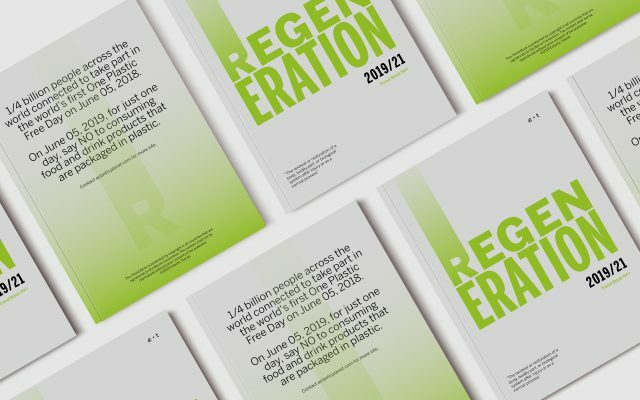 Reading this, we can assume, that you are someone to follow the newest trend reports. 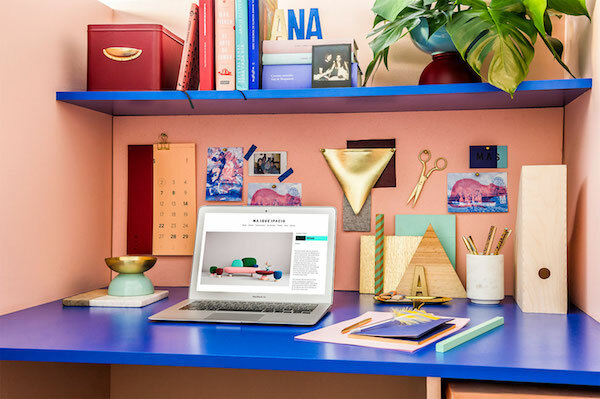 Simply by looking on how the founders present themselves on their ‚about’ page‘ you will recognize a slight resemblance to the use of Pantone’s color of the year. 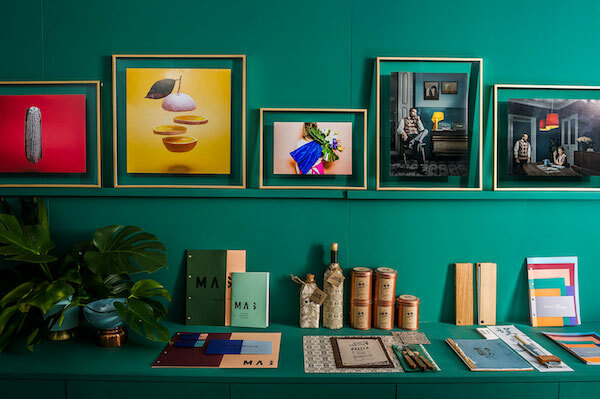 By browsing all their beautiful projects, you soon realize, that there is more to the studio’s image, than the simple and playful use of colors to imply gender roles. 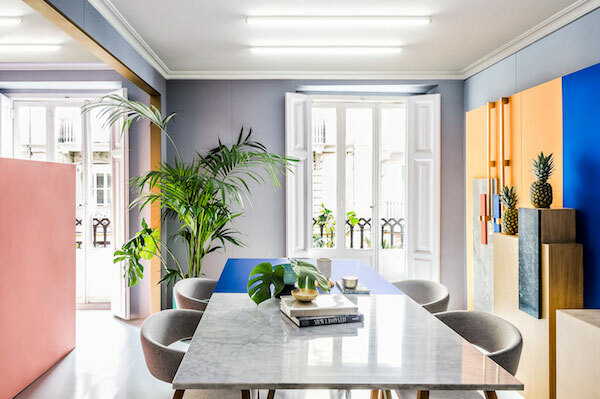 They went all the way with their own renovations in Valencia and we fell in love with the redesign. 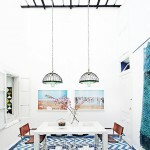 The main philosophy of the redesign was to ‚create a warm atmosphere above just designing a place to work at‘. 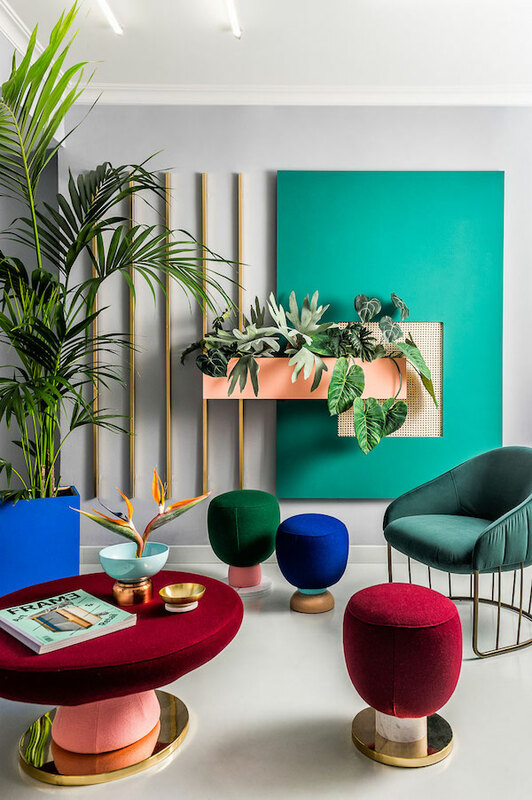 Their use of bold colors and the mix of materials like wood, marble, brass, big plants and the rich fabrics blend in very harmonious and unfold a creative playground. The studio is divided into several areas. 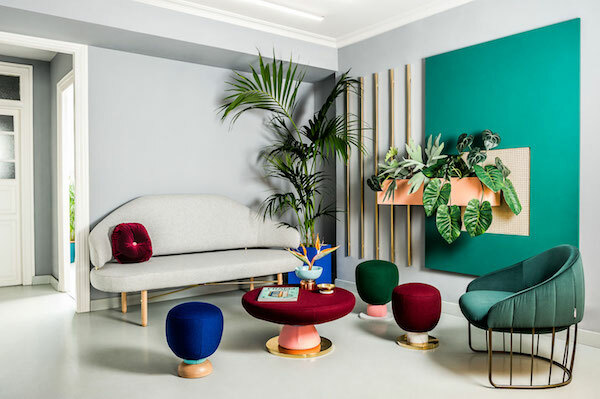 The waiting room welcomes for a creative chat, where the studio’s design of the ‚Toadstool Collection“ für Missana is prominently displayed. 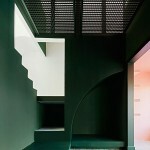 Furthermore there are areas that include the senior designer workplaces and a meeting room. 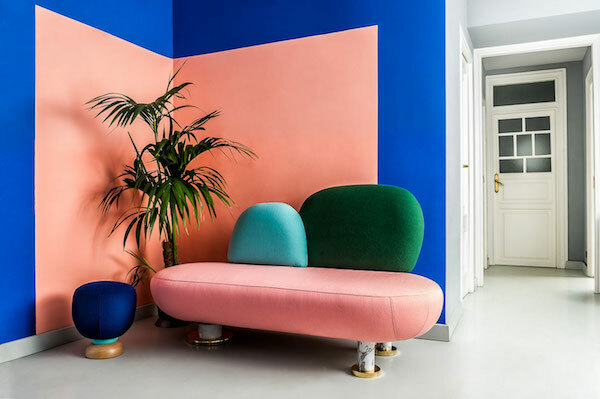 All these rooms follow Masquespacio’s identity palette of colors, successful use of finishes and their unique mix of materials.